"Dougal Carmichael began his concession business in 1976 selling confectionery products. He attended many local fall fairs, craft shows and other events creating a successful small family business. In 1987, Dougal expanded the business to include specialty meats. Along with our traditional smoked beef and pork products, we also offer Venison, Kangaroo, Bison and other specialty meats. "All of our Meat Products are Gluten Free". Carmichael Meats is now promoted at shows throughout Ontario. Carmichael Meats participates in approximately 50 trades shows, fairs, and special events during the calendar year, serving an area from Timmins to Windsor. 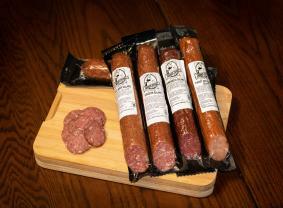 At these events we carry an even larger selection of quality meats to purchase individually or in seasonal gift packs. During these events custumers are welcome to sample all of our products before purchasing them. Carmichael Meats products are now being carried in a few select retail locations in Ontario and have been featured as a monthly artisan for Carnivore Club. 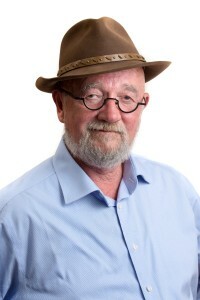 Carmichael Meats continues to be owned and operated by Dougal Carmichael and family. We are committed to providing an excellent product to our customers, and do so with pride and dedication. All purchases can be made at trade shows listed on the events calendar, through this website and at numerous retail outlets listed on our website under "locations".